Officially released live audio material is quite a tragic, sometimes even a rather ashaming aspect in ABBA's history all throughout. There even isn't a soundtrack for ABBA The Movie with complete versions of the songs used in the film. However, there have been ideas for live albums more than once. After the 1977 tour, the first real discussions about an ABBA live album took place. 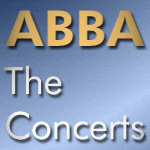 Most of the feature film ABBA – The Movie had been filmed in Australia, and in conjunction, a 24-track soundtrack of the concert performances had also been recorded. At one point, there was talk of making the upcoming album a double package, with one disc a new studio LP and the other a live album from the Australian tour. Alas, this was not to be: apart from a Sydney recording of I Wonder (Departure) being featured on the B-side of ABBA’s The Name Of The Game single in October 1977, only a few excerpts of songs from the tour were released on a limited edition flexi-disc at the end of the year. In 1981 Agnetha and Frida mentioned new ideas for a live album during a Dutch TV interview, but as we know this didn't happen either. A recent example for the weird and sad situation is that the live video snippets in the otherwise great documentary included in ABBA In Japan Limited Edition even are dubbed with studio audio. Again a chance was missed by not editing this documentary to publish some snippets at least. 2014 finally(!) saw the release of a proper live album, featuring a complete unaltered Wembley concert, only leaving out the Tomas Ledin number. Hopefully this album will be joined by albums and recordings from other tours one day. According to a schedule published in spring 2014 also a 15-minute bit of the concerts at Royal Albert Hall (1977) was planned to be released in 2014. Details about the actual content are unknown and in the end there was no such release that year.